Click on the image below for a map of parking areas near the Women’s Faculty Club. The image above shows highlighted parking lots around campus that will accept out C (campus visitors) guest overnight permits. 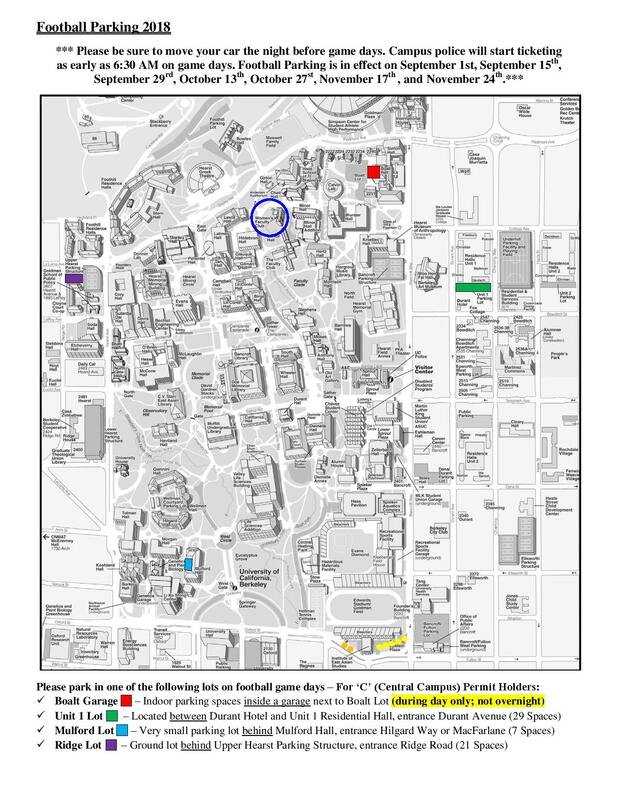 The blue highlighted lots are Boalt Lot next to Calvin Lab and Boalt Hall, and Bancroft Lot off of Bancroft Avenue – these are the two closest lots to our building. Below is an image of Football Parking for the 2018 season. Click on the image to view the map.